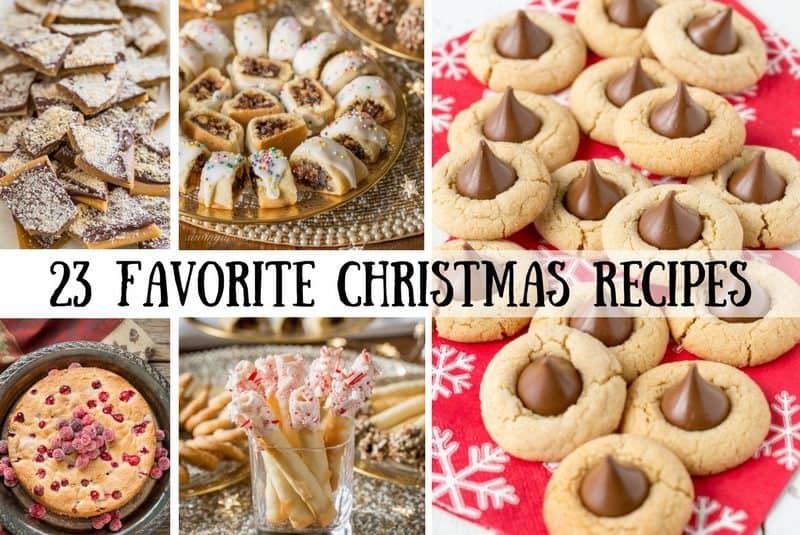 Today I’m sharing 23 Favorite Christmas Cookies, Candy & Cake Recipes in one convenient post to help you jump start your holiday baking! Check out our festive video! I’m hard at work in our SRFD kitchen this week, baking up a storm getting ready to share some brand new recipes with you! 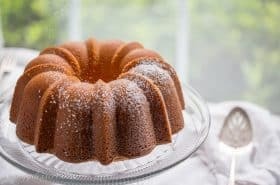 But before we bring out the new recipes, I don’t want you to forget these terrific treats we’ve enjoyed over the years too. 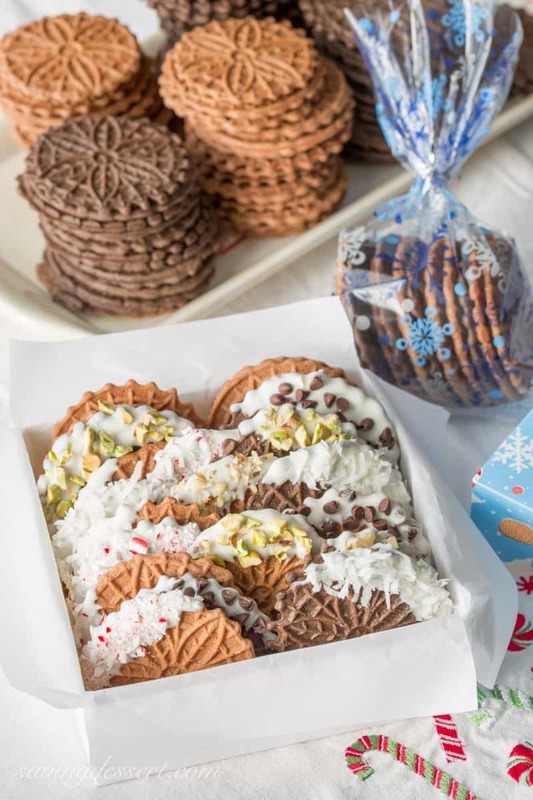 We have a wide variety of cookies, a little candy, and delicious cakes that are sure to satisfy your holiday sweet tooth. Some are perfect for gifting, shipping, and sharing, while others make a stunning statement on your Christmas table. Be sure to pin your favorites so they’ll be easy to find in the weeks ahead! 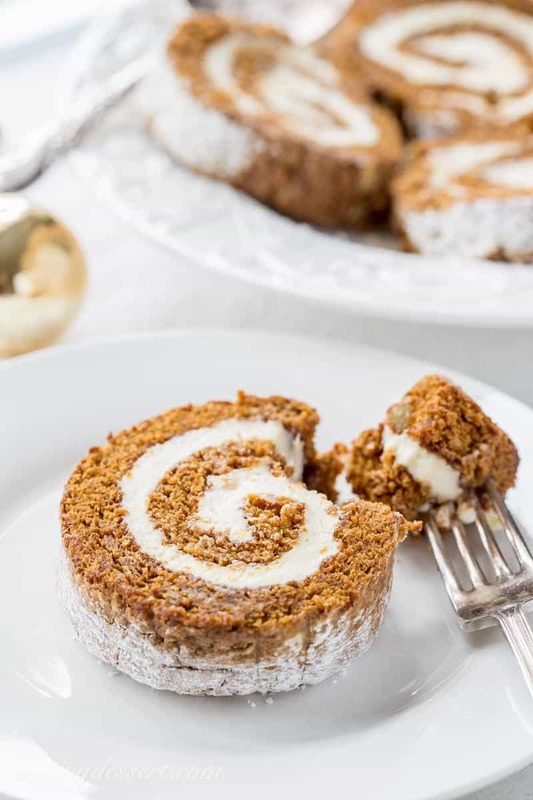 Gingerbread Roll with Lemon Cream Cheese Filling – a delightful dessert that’s not too sweet, loaded with warm, aromatic spices and flavored with just the right amount of molasses. 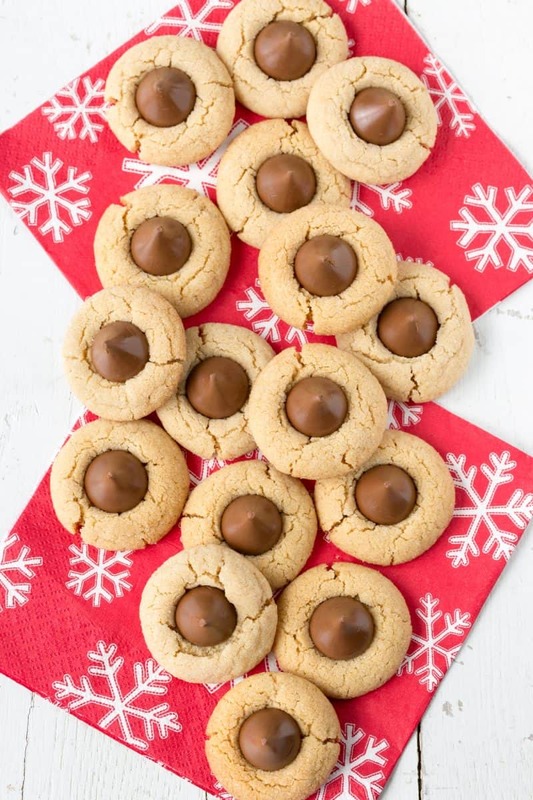 Peanut Butter Blossoms – a family favorite for generations! Who can resist the classic combination of chocolate and peanut butter? 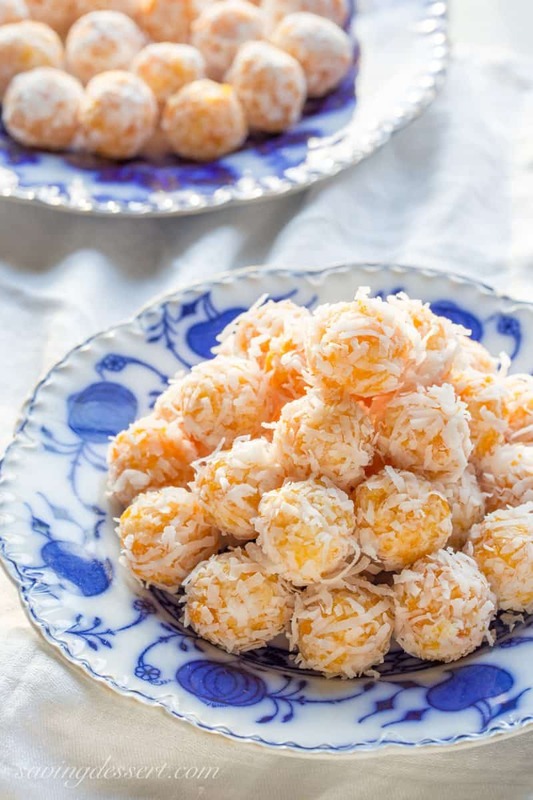 No Bake – Apricot Coconut Balls – easy to make and great for gifting! 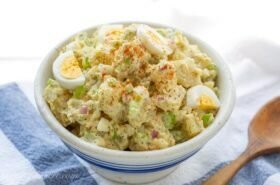 Made with only 4 simple ingredients. 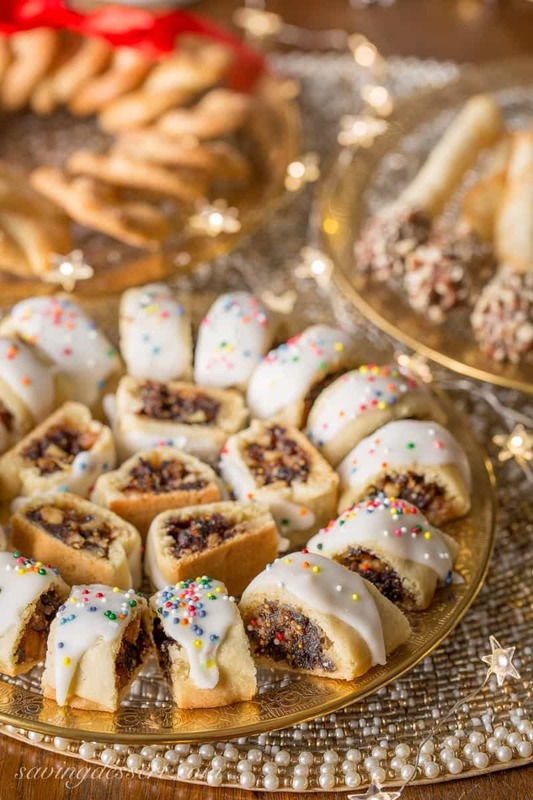 Italian Fig Cookies – Cucidati, Sicilian Fig Cookies, or Christmas Fig Cookies are a few of the names you might find for this deliciously moist, tender and sweet, fruit filled cookie. 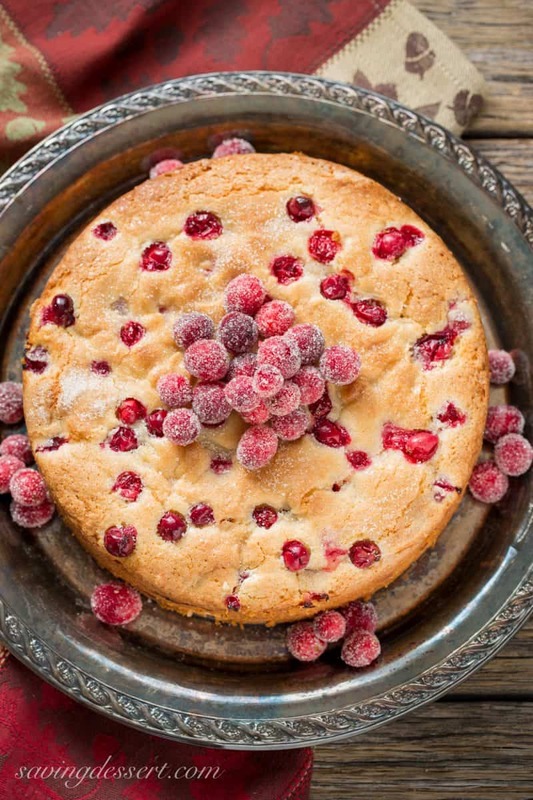 Cranberry Almond Cake – Lightly sweet, moist and delicious, this easy treat is perfect as a breakfast (coffee) cake, a light dessert after lunch or an anytime snack cake. 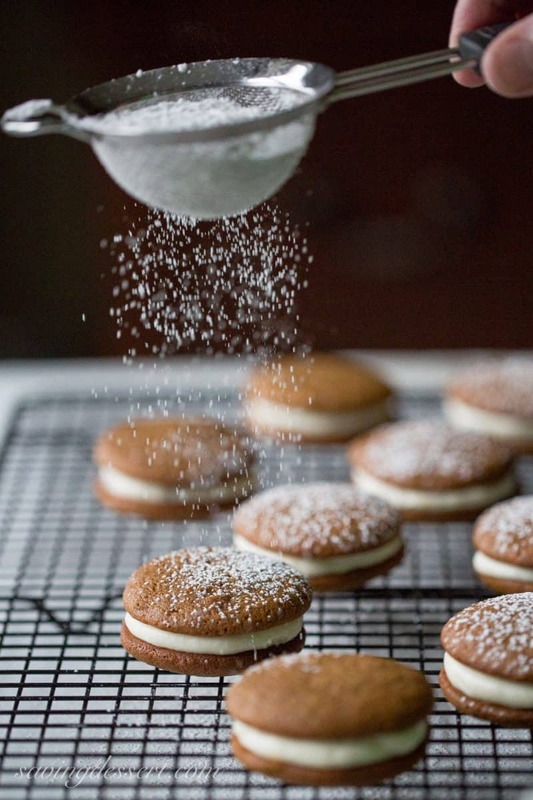 Gingerbread Whoopie Pies – with Lemon Cream Cheese Filling – soft and sweet and loaded with gingerbread flavor with the perfect lemon filling! 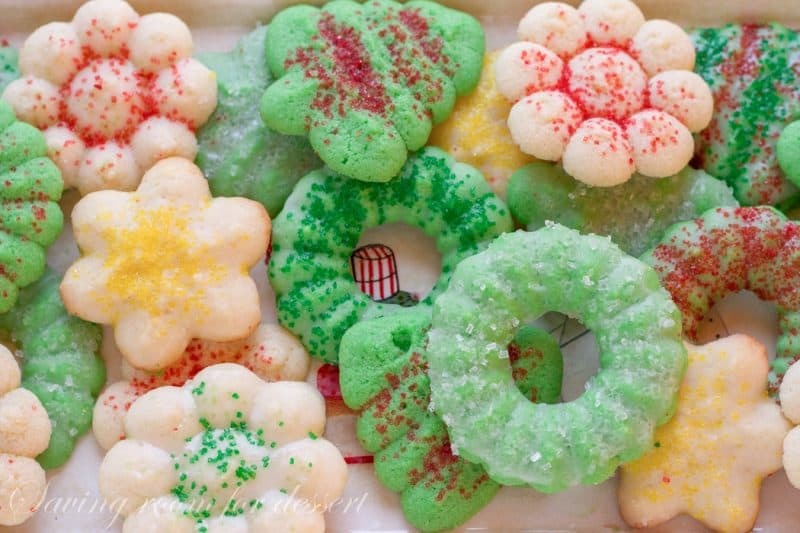 Vanilla Pretzel Cookies – a crisp little butter cookie loaded with vanilla beans and topped with sparkly coarse sugar in a fun festive shape! 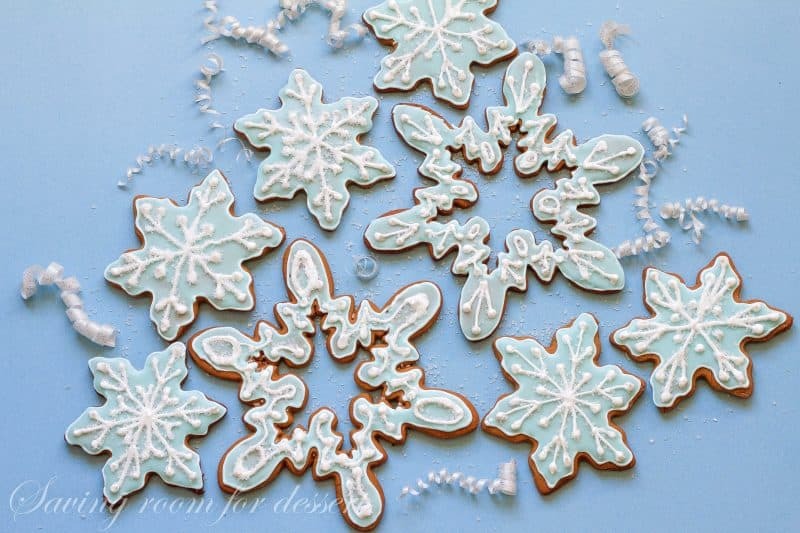 Gingerbread Cookies – classic and delicious, always a favorite on the cookie tray! 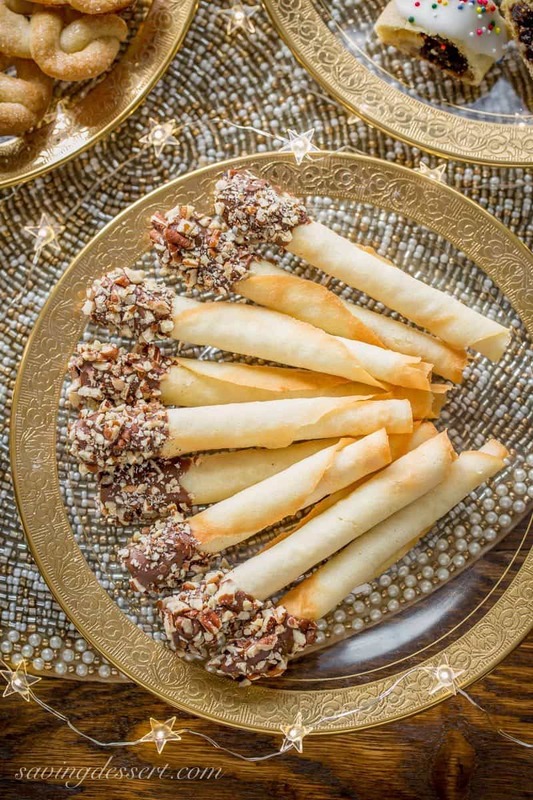 Tuile Cigar Cookies – also known as pirouettes, these crisp, delicate little cookies have a perfect vanilla flavor and buttery crunch. 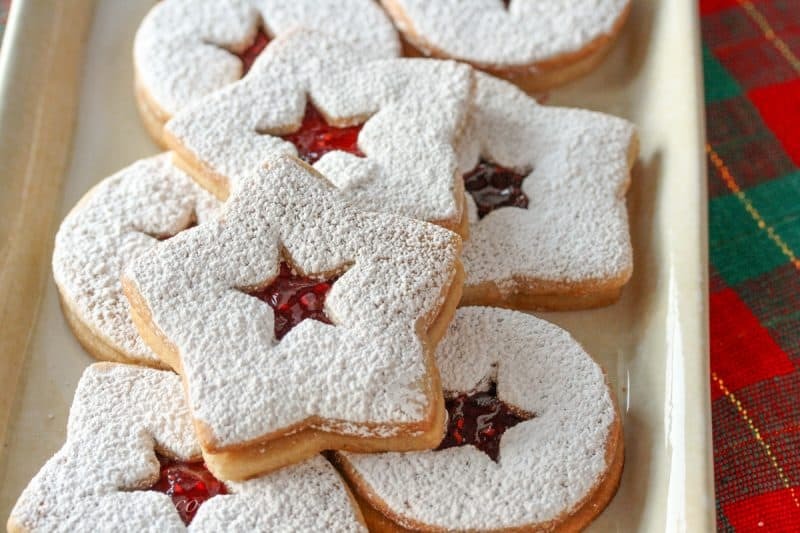 Old World Linzer Cookies – jam and simple butter cookies are the perfect holiday treat! Zimtsterne – Cinnamon Stars – A delicious blend of ground almonds and cinnamon topped with a sweet meringue glaze. 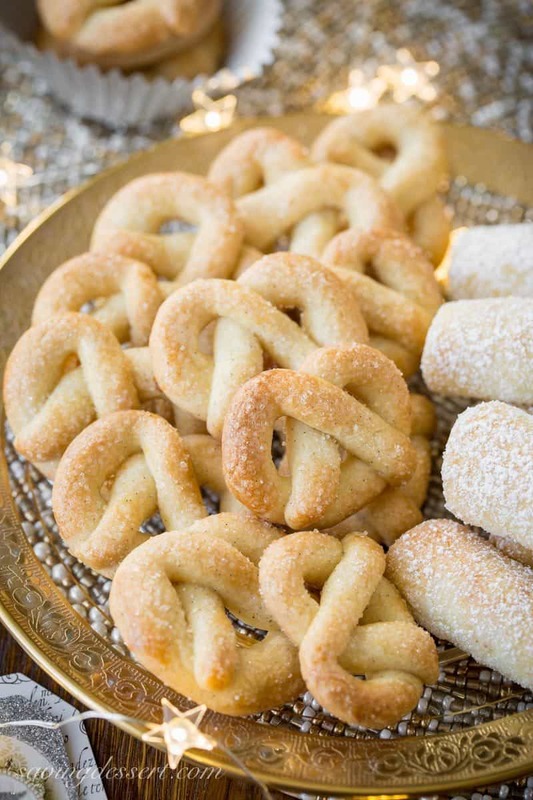 A traditional German Christmas Cookie that travels well! Almond Butter Sticks – a melt-in-your-mouth delicious, tender cookie made with a cream cheese dough and an almond extract sugar filling. 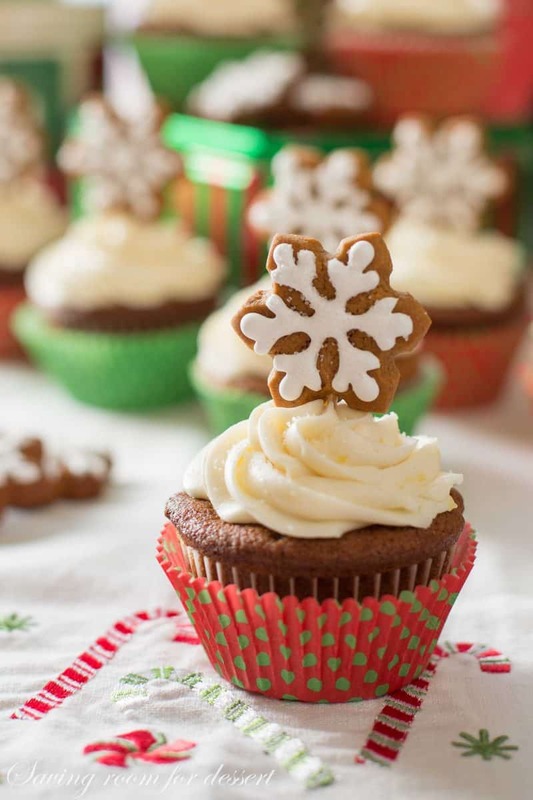 Gingerbread Cupcakes with Lemon Cream Cheese Frosting – A robust ginger flavored cupcake with a sweet lemon buttercream frosting. Topped with a gingerbread cookie these make a fun presentation for the holidays – great for parties! Spritz Cookies – delicate, yet crisp, little cookie with a deep buttery flavor and a hint of almond. Spritz is a German word meaning ‘to squirt.’ We Squirt the soft dough through a cookie press, fitted with various designs, directly onto the baking sheet. 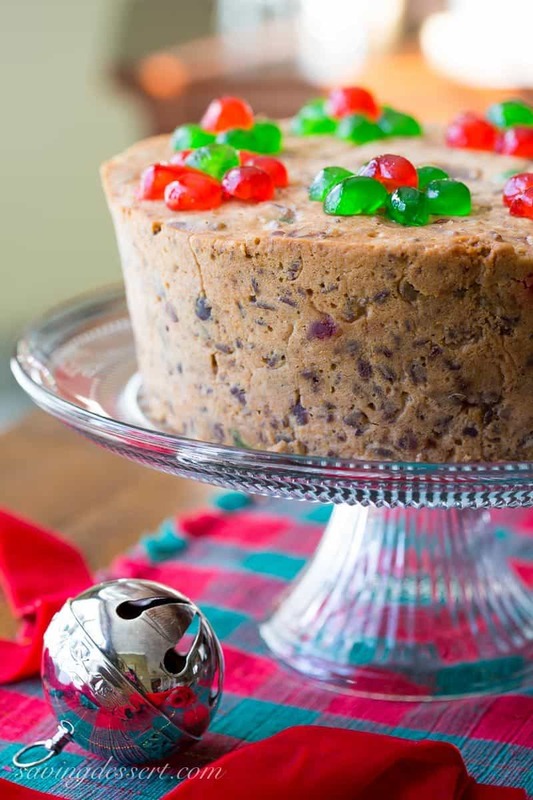 The dough can be tinted with food color and decorated with candy, sprinkles, fruit pieces, chopped nuts, currants or raisins. 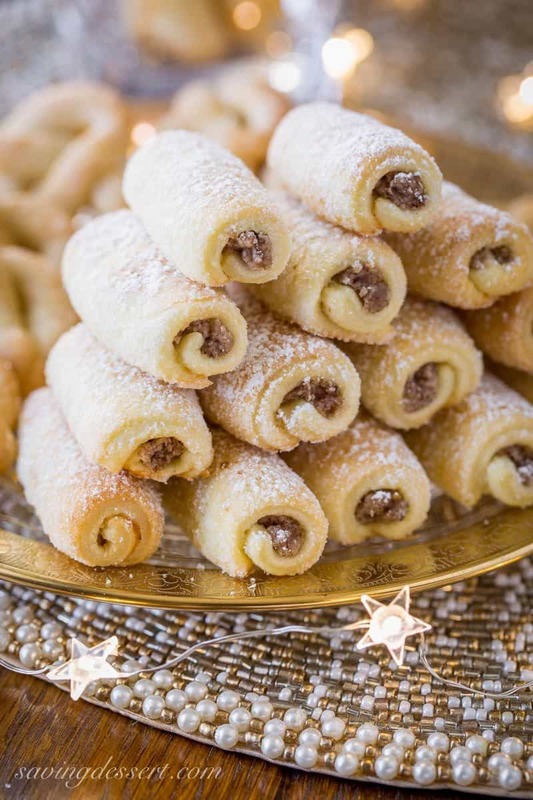 Roczki Cookies (Kolacky) – made with a tender, yeasted dough rolled up in a cigar shape with a simple, lemony, ground nut filling. 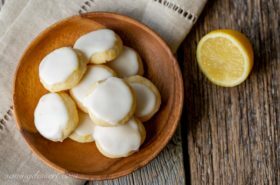 Typical of older recipes, these cookies are not terribly sweet but have a wonderful, unique and simple flavor. 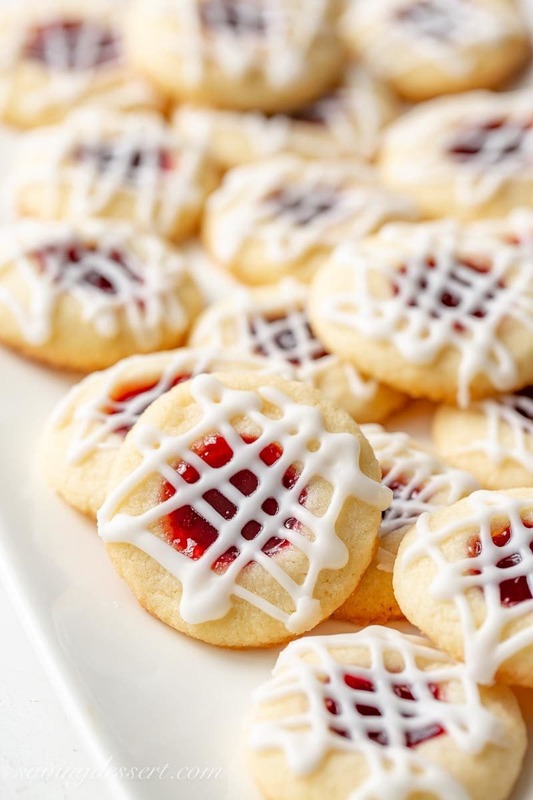 Raspberry Almond Shortbread Thumbprints – the most popular recipe on SRFD, year after year. A classic delicious cookie everyone loves! 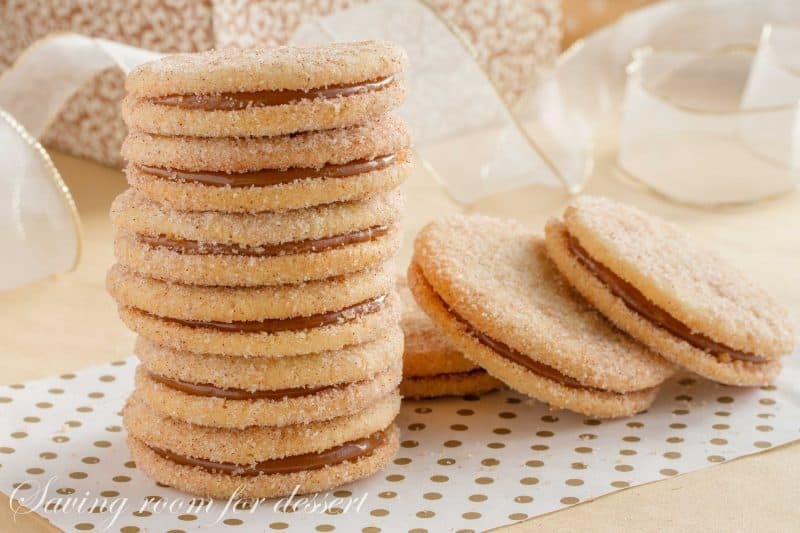 Dulce de Leche Sandwich Cookies with Cinnamon and Cardamom – a sweet, soft cookie coated with the warm flavors of cinnamon and cardamom then filled with a silky rich caramel. 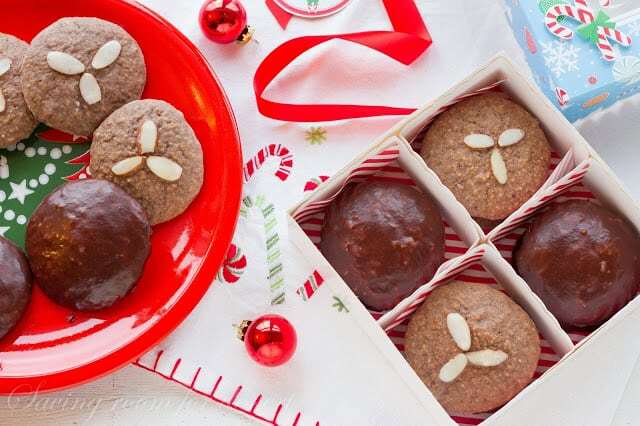 Lebkuchen – German Spice Cookies – old world cookies where the spices, nuts and citrus take center stage instead of sugar and chocolate. 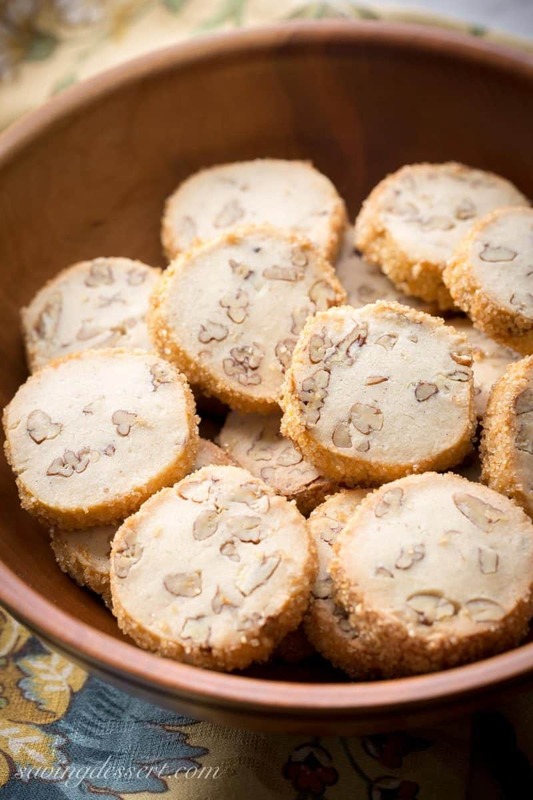 Pecan Sandies – Classic shortbread cookies filled with toasted pecans and vanilla beans with a crisp coating of coarse sugar. They travel extremely well and have an easy make-ahead dough. Slice and Bake! 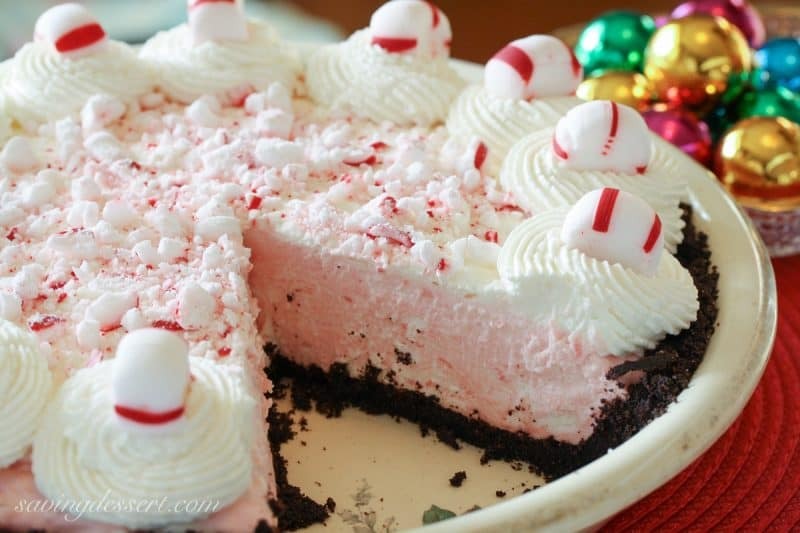 Peppermint Pie – light and fluffy, simple and sweet, with all the flavors of the holiday season! 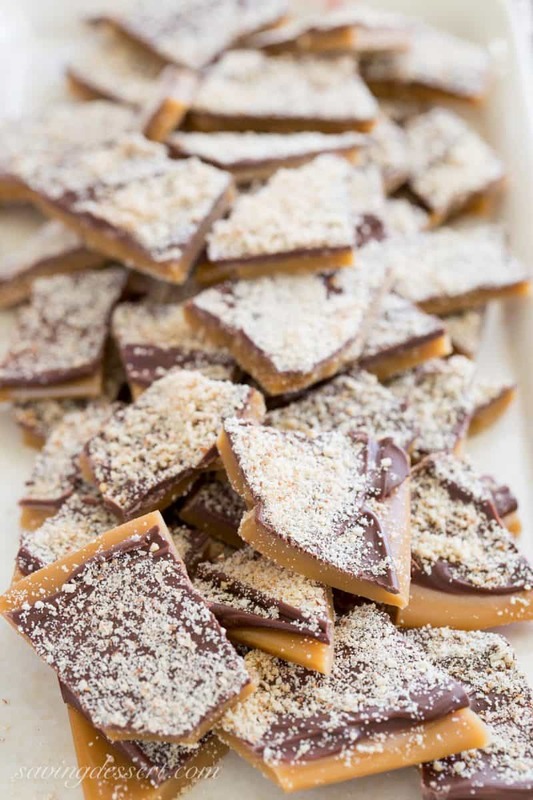 Don’t forget to PIN to your favorite holiday dessert board! We’d love to connect with you on social media. If you try our recipe, please use the hashtag #savingroomfordessert on INSTAGRAM so we can give it some love! And, be sure to FOLLOW Saving Room for Dessert on FACEBOOK | INSTAGRAM| PINTEREST | TWITTER for all the latest recipes and updates. Oh my! 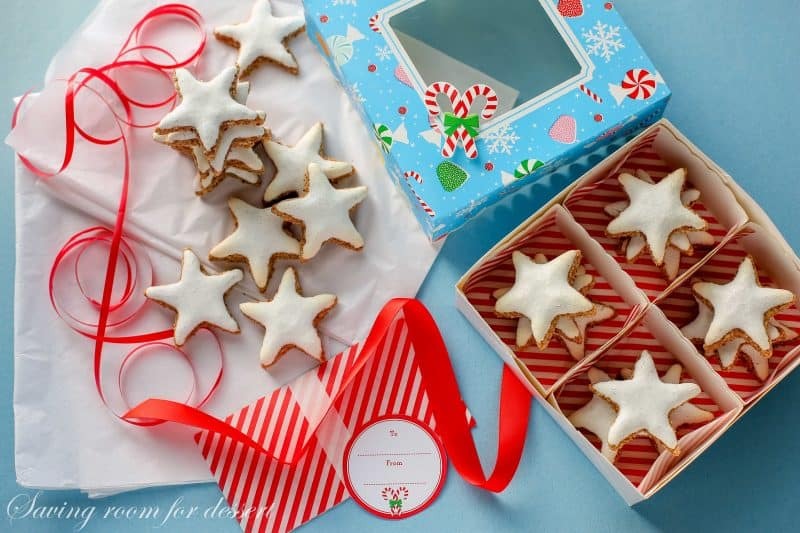 What a terrific list of cookies and you’ve included one of my favorites from Germany…the cinnamon stars. Definitely pinning. Thanks Susan! 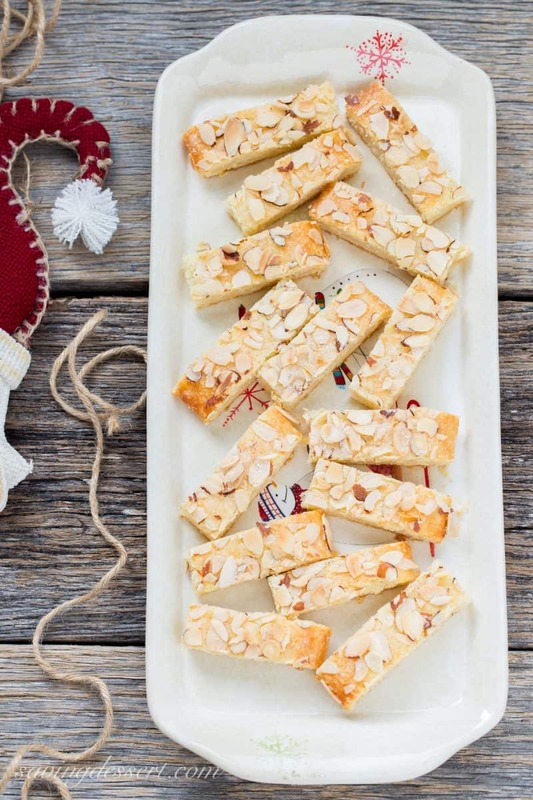 So glad you liked the Almond Butter Sticks – they are one of my favorites. Hope you’re having a wonderful holiday season! Haha Greg – Everybody needs a good, simple cookie that travels well and is easy to make. And…they taste amazing! It’s cookie time! And you have so make great ones — can’t decide where to start. Heck, I’ll just have to make them all. 🙂 Thanks! Yes it is John! I really hope you get the chance to at least make a few 🙂 Thanks for stopping by! Your pictures are just so glorious. I don’t know where to start Tricia. What’s your fave? Oh my gosh! Where to start, Tricia! They all look marvelous and I wish I could sample them all now! Thanks for sharing and Happy Baking! Thank you Pam – hope you’ve been doing well! A treasure trove! Thank you..I am eyeing a few..I like to try some new ones every yr..I think I made your jam thumbprints last year:) Happy baking! What a lovely comment Monique 🙂 Hope you find something to love! What a crazy fabulous repertoire you have, Tricia! 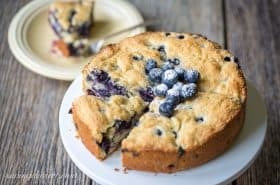 It’s almost hard to believe you can bake up anything new with all these amazing recipes everyone must be clamoring for already. Happy holidays and enjoy all the baking. I’m sure your friends and family are grateful to enjoy any of these with you. Aww thank you Monica 🙂 Can’t wait to see what you’re baking next! This post sure lives up to your blog name. 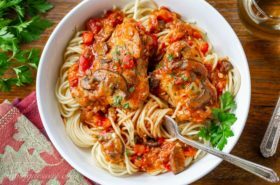 My mouth is watering terribly, Tricia. What an amazing collection of holiday treats! Thank you Angie – you are a sweetie! Yeah! I hope you love them Sue – such a long time favorite in our family. Thanks! Thank you Jennifer – can’t wait to see what you are baking next! Wow, so much amazing stuff here Tricia! Makes me want to fire up my oven and bake, bake, bake! !